There were a number of tense tussles throughout the initial qualifying round – several of which involved local drams. In an all-Australian affair, Starward narrowly defeated recent award winner Hellyers Road by claiming 54% of the vote. Whisky Waffle also bid a tearful adieu to Bunnahabhain, defeated by Tassie champion Sullivans Cove which enjoyed 58% success. The other Tassie dram to bow out was Nant, defeated by regular pocket-pleaser Glen Moray. However the fun does not stop there; as we fondly farewell 32 grand drams, we turn our attention to the subsequent 32. And my, what decisions we will have to make! The round is headlined by some all Australian bouts: Limeburners take on Overeem and Belgrove come face to face against the godfather himself! Elsewhere, the salty kings Laphroaig and Springbank go head to head and there is a battle of the Glens: Glenrothes vs Glenfarclas. 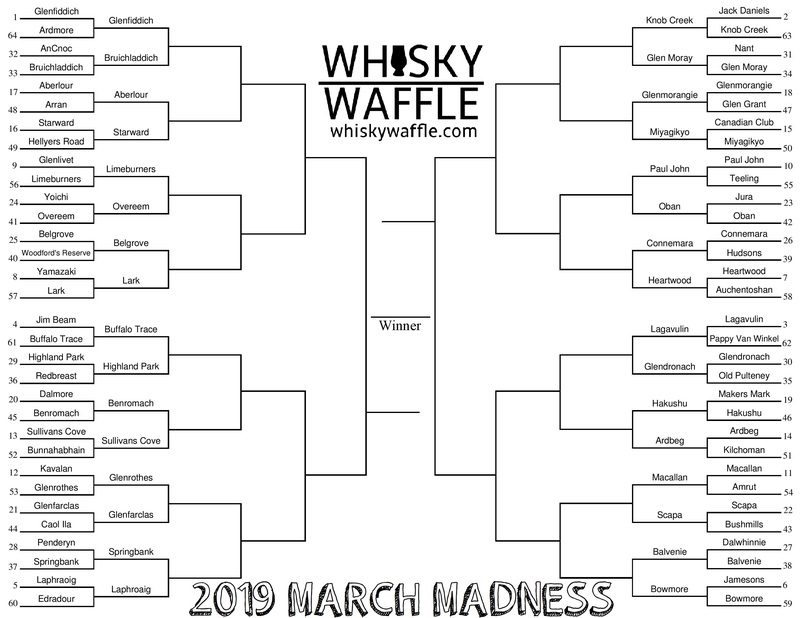 A battle sneaking under the radar, but causing me much grief, is the number 3 seed Lagavulin taking on another favourite of mine: Glendromach. Holy. Crap. Vote for as many as you like, but feel free to leave any you’ve not tried. The more people who vote the better – and drumming up support for your personal favourite is most definitely allowed. Happy voting fellow Wafflers. Lets see who comes out on top!